Oh dear, is it that time of the year already? Yes, it’s prom time. Girls will giggle, buy that perfect dress and guys will have to rent the perfect matching tux, get a boutonniere and break the piggy bank to rent that extra-stretch limo. We know all the high schools around set up their prom at pretty much the same time, that means every girl needs to get her nails, makeup and hair done for this special day. What a lucrative month for beauty salons and hairdressers alike. But are you ready to deal with this appointment tsunami? 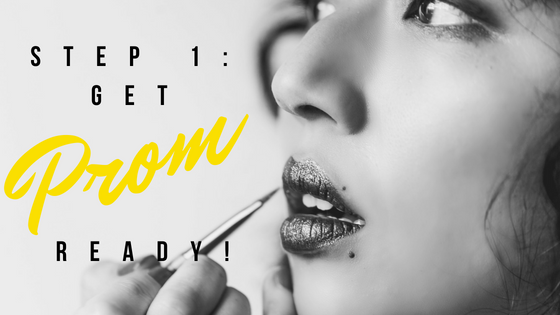 Let’s see what you need to do to get ready! Let’s face it, most teenagers and millennials have their cellphones directly implanted into their hands. They check their phone around 150 times per day (we did the research, it’s shocking but true), so it’s no wonder that they are going to book their appointments online too. Because even if it’s called a phone, the new generation does not like to talk, everything has to be done online and involve some kind of emoticon. So what are you going to do? It’s easy, you need to give them an online booking option. Get it on your website if you have one, and you need to get one on your Facebook page. Everybody is on facebook (seriously, even my grandmother has an account)! Now, your customers have two options to book their appointments online, and the best thing is that they are even doing the work for you. No more 20 questions of “When are you available? What time are you free on Saturday?” They will get online, see your kickass scheduling app, book their own appointment and even tell their friends about it! Prom season is hectic and even if your schedule is full, you know a few of your clients are going to cancel on you, it’s just a fact. But let’s take advantage of this high volume of clients to try a waiting list app. Yep, it’s the next gen revolution for our industry and it’s as easy as A,B,C. You just have to set up a smart waiting list and a cancellation policy to avoid those pesky last minute cancellations. If your client changes her mind, one lucky girl will be extremely thankful and happy to receive a notification pretty much telling her you just saved her prom night! This time of the year, it’s easy to get overwhelmed, to forget to manually call each and every client about their appointment. But fear not, for there is a simple solution. The SMS/email reminder and confirmation is here to save you! First of all, you can use a fully automated platform to send notifications to your clients. It will give them the opportunity to confirm, reschedule or cancel their appointment, which works well for you since you have a huge waiting list ;). Also, did you know that 90% of text messages are read within the first three minutes, and 99% are eventually read, that’s 5 times higher than for an email. So to avoid wasting precious time on the phone and to make sure your clients don’t forget to come around, you should really start using the technology at hand. It may seem trivial, but let’s face it, we all want to get those 5 little gold stars from our clients. One, it makes us happy because it means we are doing a good job and our clients are really happy with us. Two, it’s a huge selling point, let me explain. When you want to go to a nice restaurant, what do you do? Well, usually you go online or on specific apps to see the different reviews from former clients right? Ok, so why should it be different for your industry? Give your clients the chance to tell the world how great you are, not only will it put a smile on your face, but you’ll get even more clients without doing anything. All in all, whether it be prom, wedding, or back to school season, appointment waves come and go and you always need to be on top of your game. Keep your clients happy thanks to your talent and the amazing service you provide, and yes, nowadays it includes online booking. It’s time to find the platform that best fits your needs. Find one that’s easy to use and most importantly, find one that will do the heavy lifting for you so you can go back to doing what you love.